I’m the author of Functional Programming in C++ from Manning Publishing, KDE developer, and advocate of the Free/Libre Software movement. Most of my online presence revolves around the development of KDE, most notably Activities and Plasma, with frequent excursions to artwork creation. I also try to evangelize functional programming and modern C++ techniques by giving talks and writing C++-related articles on this blog. 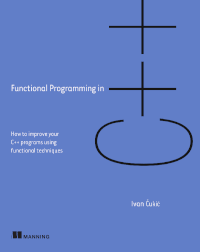 I teach C++ and functional programming at the Faculty of Mathematics in Belgrade. I got my PhD at the same university with a dissertation titled “Functional and imperative reactive programming based on the generalization of the continuation monad in the C++ programming language”.